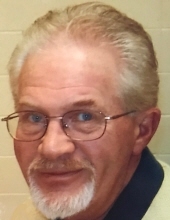 Steve Bruch, age 71 of Little Chute, passed away June 27, 2018 at ThedaCare in Appleton. Steve was born in Appleton on May 1, 1947, son of the late Donald and Ellyn (Aul) Bruch. He was a graduate of Appleton West High School, and from January of 1970 to September of 1970 served in the United States Army in Vietnam. After his discharge, he continued by serving more than twenty more years in the Army Reserve Medical Command Unit. For nearly thirty years, Steve was employed by the Appleton Area School District. Steve is survived by his wife: Judy Bruch of Little Chute; two children: Julie (Brad) Vandehey of Darboy and Eric (Molly) Bruch of Combined Locks; Judy’s children: Scott Paeth of Appleton, Craig Paeth of Kaukauna, and Michael Paeth of Menasha; eleven grandchildren: Blake Vandehey, Breanna Vandehey, Bennett Vandehey, Taylor Bruch, Trevor Bruch, Gabriela Bruch, Alicia Paeth, Matthew Paeth, Jarod Paeth, Aiden Paeth, and Hunter Paeth; a brother: Jeff (Teri) Bruch of Green Bay; a special cousin: Garry (Shelly) Bruch, Sr. of Florida, and the mother of his children: Mary Thompson. Other survivors include Judy’s siblings: Ed (Kay) Hudak of Neenah, Connie Coffey of Milwaukee, Jean (Jeff) Loehrke of Weyauwega, and Patrick (Kym) Hudak of Appleton. There are also many nieces, nephews, many relatives and friends. Family and friends will gather to remember Steve on Sunday afternoon, July 1, 2018, from 1:00 PM until 4:00 PM at the Little Chute Village Hall, 625 Grand Avenue in Little Chute. At 4:00 PM there will be a sharing of memories following by military honors. For more information or to share a memory of Steve, please visit www.hovcremation.com. In lieu of flowers, a memorial fund is being established. To plant a tree in memory of Steve Bruch, please visit our Tribute Store. "Email Address" would like to share the life celebration of Steve Bruch. Click on the "link" to go to share a favorite memory or leave a condolence message for the family.